What do Zuill Bailey and Johnny Cash have in common? The artistic director of the Sitka Summer Music Festival and the country music legend are both Grammy winners — but there’s something else, and you’ll want to be prepared the next time you play music trivia. Find complete information about the 2018 Sitka Summer Music Festival here. Zuill Bailey is sitting just a few feet away from me, performing an excerpt from an Allemande by Johann Sebastian Bach for the Sitka Chamber of Commerce. 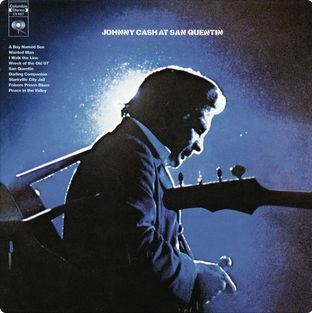 He performed this piece in its entirety just this past April, at a concert venue made famous in 1970 by Johnny Cash. Bailey performed this piece at the San Quentin Prison, in California. As he ended, Bailey noticed that one of the inmates was sobbing. Bailey did finally come up with a satisfying answer, which I’ll share in just a moment, but it’s important to understand that Bailey has always been somewhat fearless about musical outreach — performing in remote Alaska and other places, like the Hiland Correctional Center in Eagle River — that are not the usual touring venues for artists of his caliber. His greatest worry has always been his instrument — his 325-year old Goffriller cello. Bailey talks about the limitations of the old cello as if it was as disagreeable as Green Eggs and Ham. 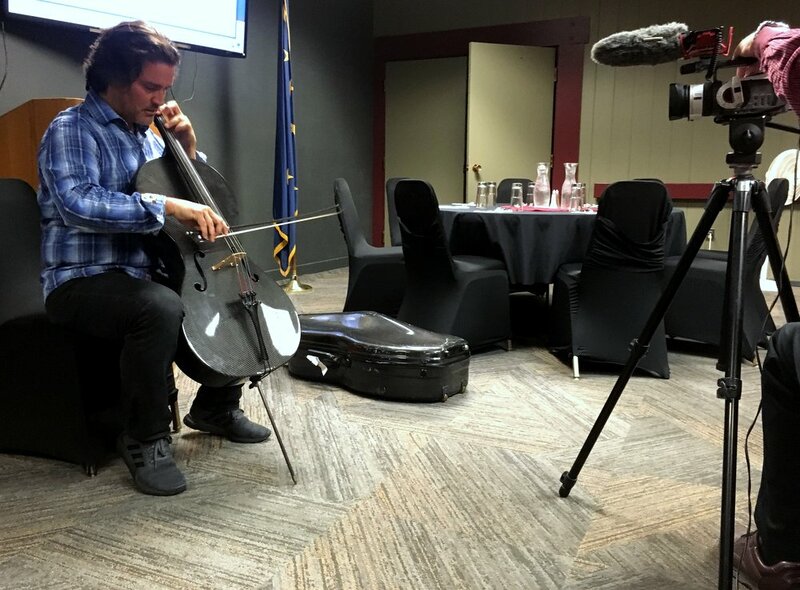 Although Bailey played the Goffriller at San Quentin, he now takes a Luis & Clark carbon fiber cello on the road, especially when it’s off the beaten path somewhere in Alaska. Listed at just over $7,000, the sleek, black instrument is not cheap — but it’s pennies on the dollar compared to his concert cello. And it’s cool: He tells kids that it’s made out of the same thing as Batman’s car. In fact, he’ll hand it over and let them take it for a test drive. In addition to his own personal Luis & Clark, the Sitka Summer Music festival has acquired a quartet of the carbon fiber instruments — a violin, cello, and two violas — so that the show truly can go on the road. Bailey is absolutely sincere when he says that he believes that chamber music is the people’s music. Bailey says the San Quentin inmate did not really look like the sensitive type, as he asked — through tears — to understand what he was feeling. Someone handed the guy a tissue, though. And Bailey came up with an answer. Welcome back. The perfect, and perfectly-unexpected, theme for a double-billing between a classical cellist and a country music great.